FFM – It’s a Match! What Are the Odds? This week’s FFM was true luck. I was out and about the other day at the thrift store when I looked down and couldn’t believe my eyes. 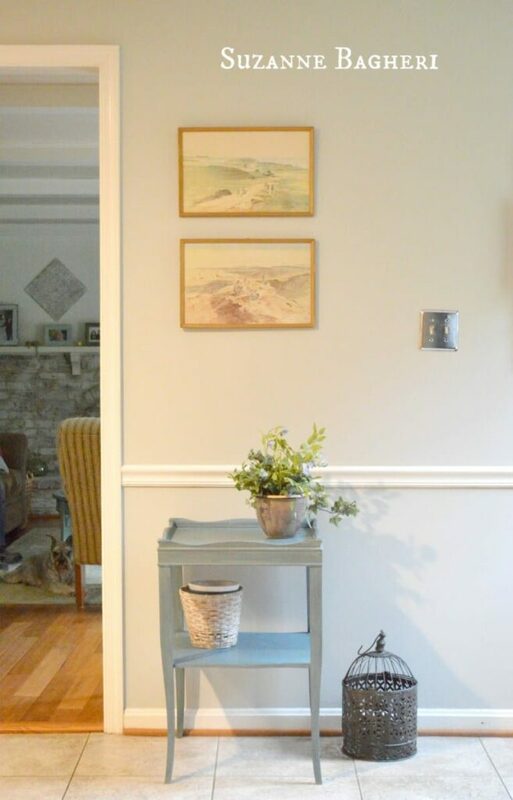 I found (what I thought) was the exact match to a small table that I shared with you all a few months ago (Before and After in Annie Sloan Aubusson for My Home). This is not an ordinary/find them all over the place, kind of table. How very strange! I mean really, what are the odds? Upon closer inspection at home, I found that it is actually slightly different. 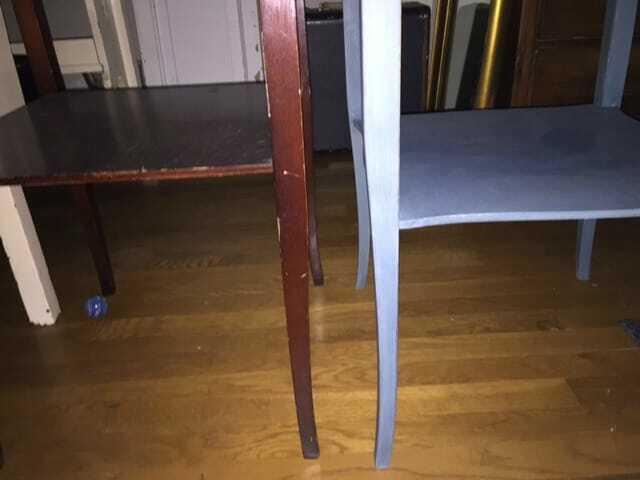 The shelf edge is not scalloped and it is ever so slightly shorter. 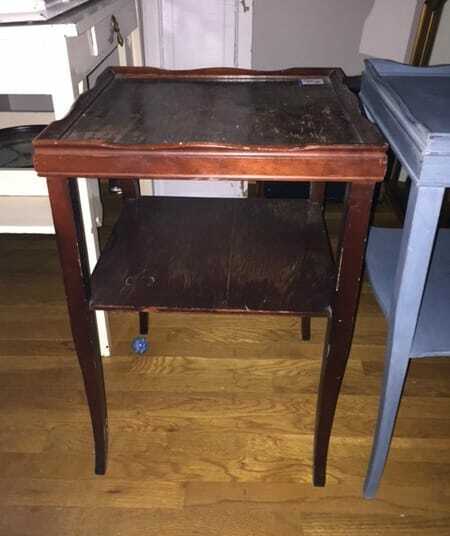 However, the scalloped top is identical and the rest of the table matches. What a great find! I can now paint it in the same method and make them a pair. 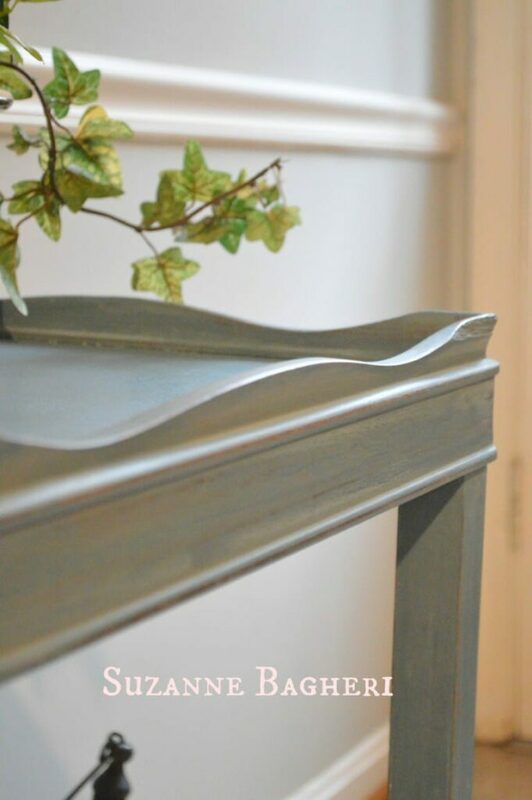 I will share the Hepplewhite Dresser makeover tomorrow 🙂 In case you missed it, here is the tutorial on how I refinished the top. It’s shaping up! What an incredible find. And the chance of finding a table similar to one you have, Wow. Hi Debra – I know, it was so strange! I grabbed it so quick and put it in my cart lol! If only I had known that they had a match, I would likely have painted them in gray but maybe the blue will sell 🙂 Cheers! 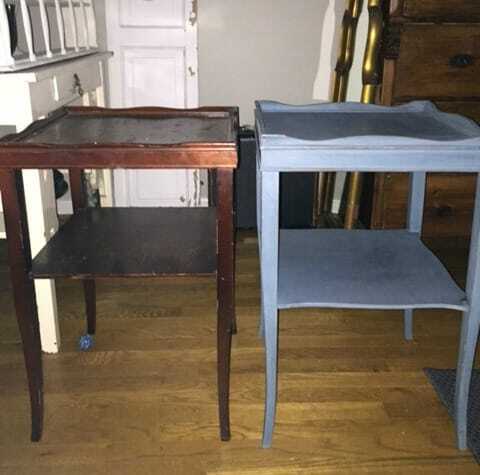 Great Find….one quick question….if you are painting a piece, to sell but not to anyone specific, how do you choose the color? I have a very small fireplace mantle that I want to paint but I cannot decide what color paint to use, to make it universally appealing, thanks! Hi Marty, top sellers are white, black and gray. I would say blue is a runner up. As far as the mantel – go for white. At least, that is what I would do. Cheers!